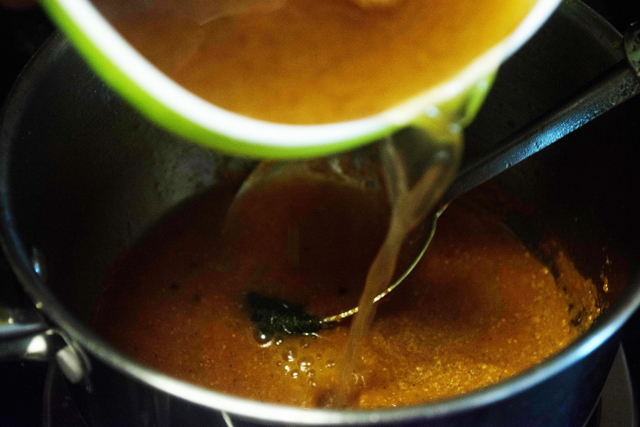 Tomato soup made with little tamarind, spices and herb. This soup can be also eaten with rice. 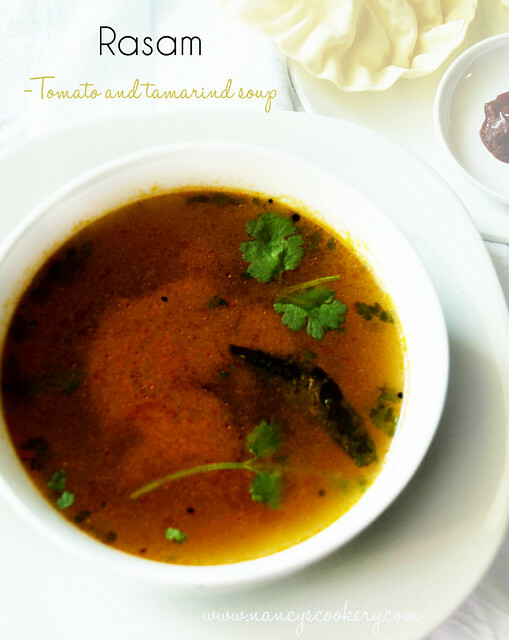 Rasam - Tomato and tamarind soup with spices and cilantro. 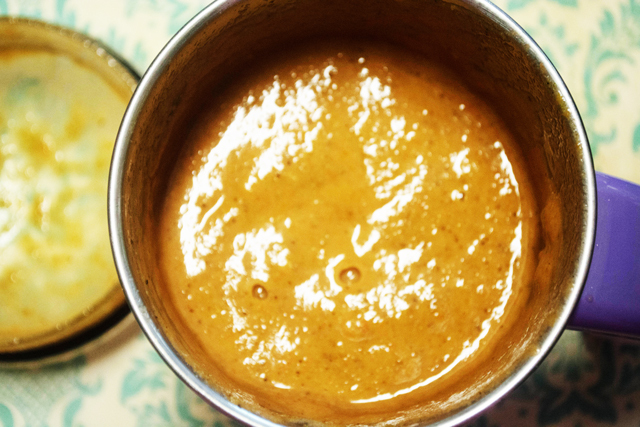 This is delicious, mild and ready within few minutes. We can drink it as it is and also goes well with white rice. Some always have this in home besides their regular curry. 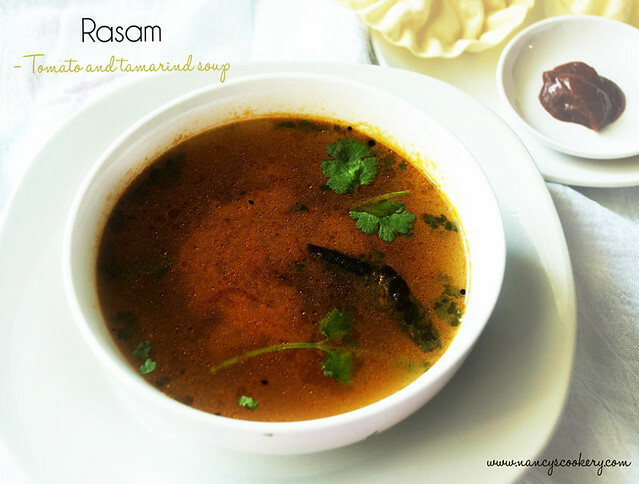 This rasam is my favorite too. I have attained this perfect yummy recipe after 3 years. I am not a perfect cook before marriage, so after marriage I tried everything and documented the best come methods and now sharing everything with you. 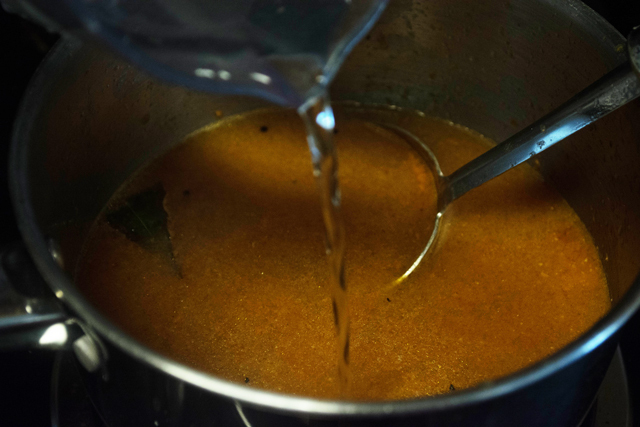 My first rasam was with tomato but didn't use tamarind, so it was bland. Then it was too thick. now hubby is satisfied with my rasam and he drinks it plan in glasses .. oh what a joy when your food is liked by your dear ones.. Now to the recipe.. .
Soak the tamarind in water. 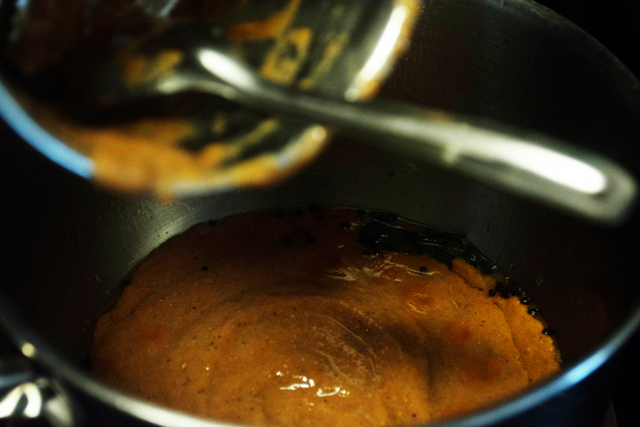 Ground the cumin, pepper, garlic and curry leaves to a fine powder and then add tomato to it and make it a fine paste. 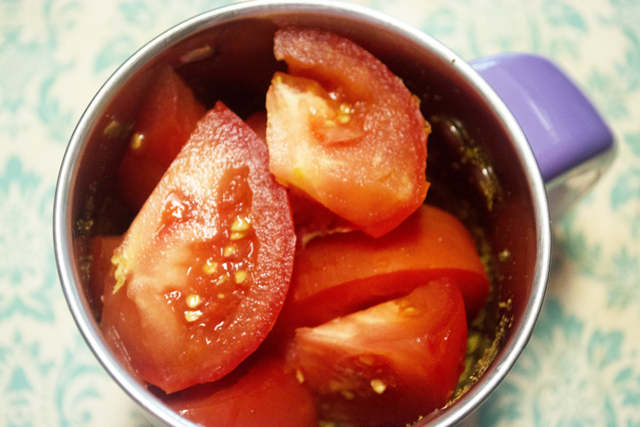 If you add tomato with everything, cumin and pepper won't be a fine powder. It will be coarsely ground. 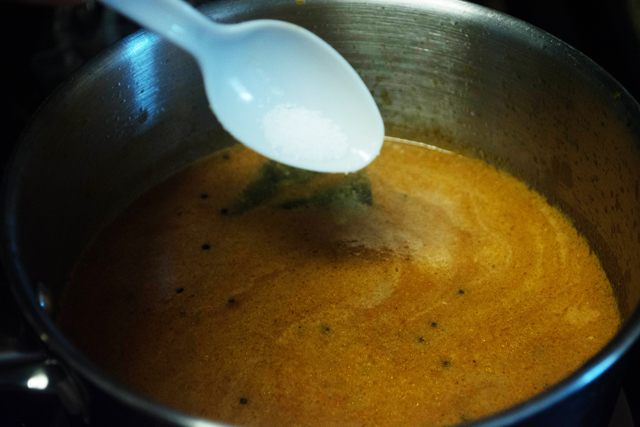 Heat oil in a pan and add mustard seeds, when they crackle add curry leaves, then put the ground paste to the pan and saute in medium to high flame for a minute or until the color changes to dark color. Pour the tamarind juice, water and salt(Add tamarind juice little , then check taste, if you feel so tangy stop, if bland, add more juice. I have used all the juice and it was perfect.). 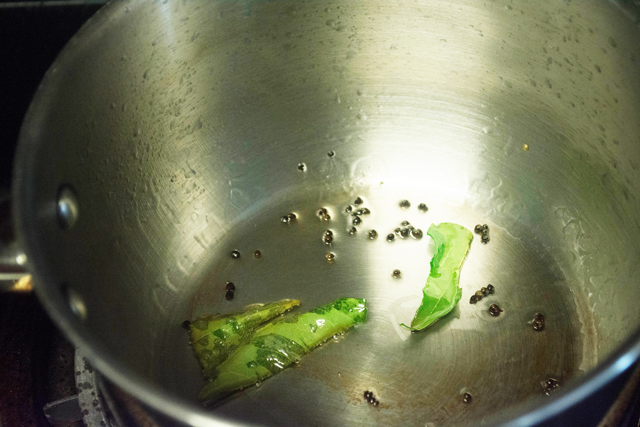 Allow it to boil and when it boils vigorously, add chopped cilantro and switch off the heat. 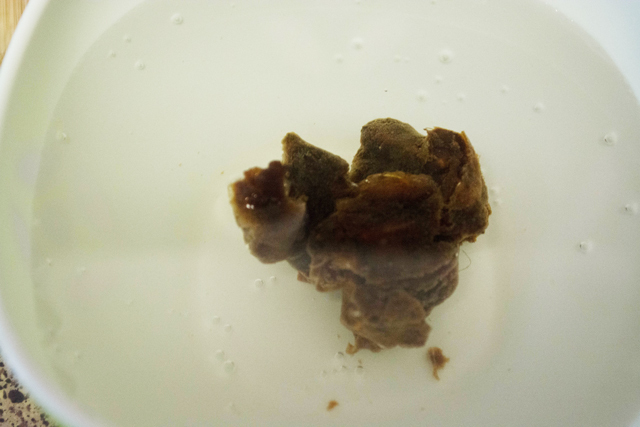 Soak a little ball of tamarind in hot water. 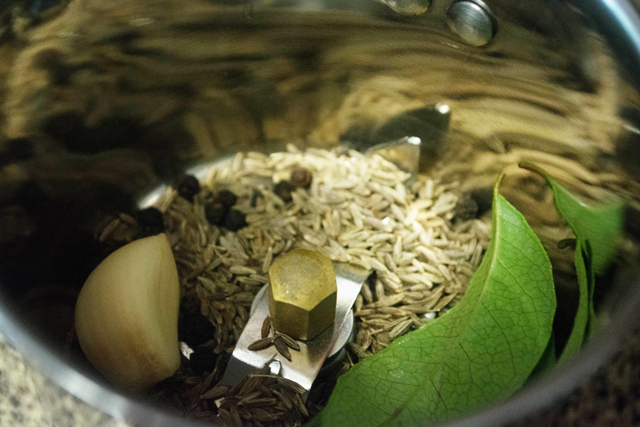 Add the cumin, pepper, garlic and curry leaf to the blender jar. We add tomato once this is finely powdered. If you add tomato now, the paste will be coarsed. 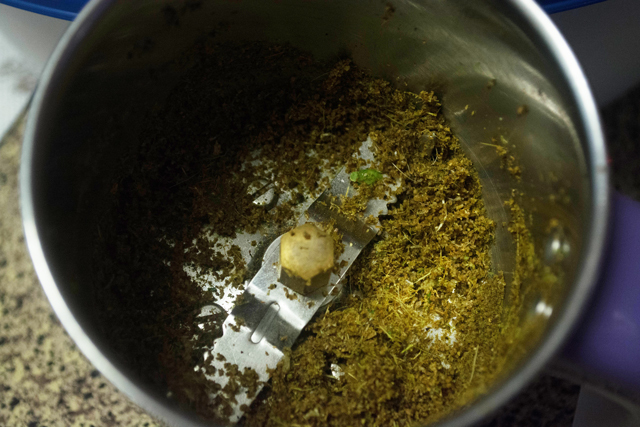 Grind it to a fine powder as much as possible. Now put the tomato into the same jar. Grind it to a paste. Heat oil in a pan. Throw the mustard seeds. When they crackle reduce the flame to low and throw the curry leaves. Pour the ground paste into the pan. Saute till they change into dark color or saute for a minute in medium flame. Now pour te tamarind juice without any pulp. Pour the water and allow to boil. 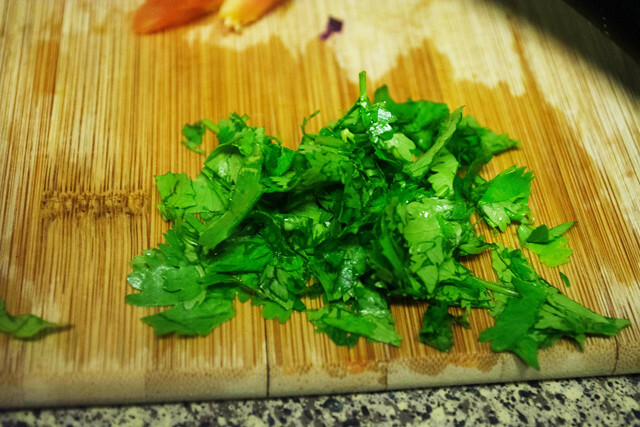 In the meantime chop the cilantro. Put some salt to taste. 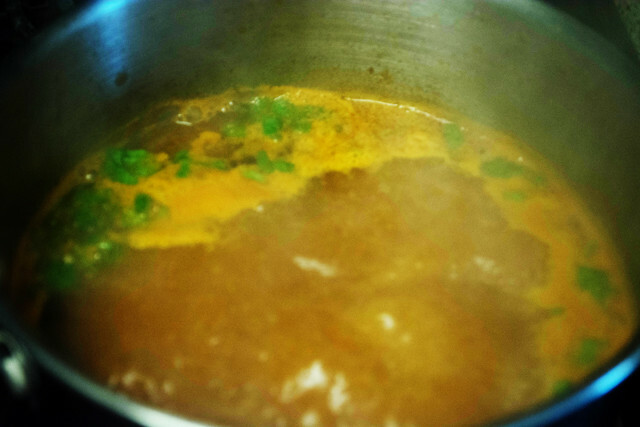 When the soup boils vigorously, throw the chopped cilantro and switch off the heat.